In Canada and the U.S., providing these details on a CV are near illegal. 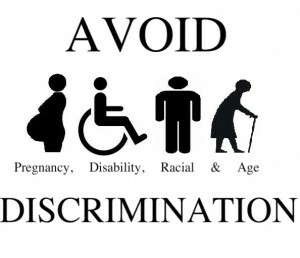 It is illegal to discriminate against a potential employee using gender, religion, race, age or marital status. Including these details on a CV would essentially open the door for the employer to discriminate against a potential employee, therefore it is essentially illegal to state it on your CV. What I find surprising is that everyone in Germany just seems to accept the status quo of providing all this personal information to a prospective employer. There was a huge uproar by Germans, in particular, when Google Maps wanted to take street view pictures of their homes. Personal privacy was of utmost importance in that instance. But why is it that no one seems to be trying to change an antiquated and clearly discriminatory job application process? Age – this is a big one. Why does an employer care whether I am 25 or 45 as to whether I can do a job or not? They can easily tell from the education and work experience sections of my CV, what my qualifications are and how much time I’ve spent in the workforce. If that I am overqualified for the position, then so be it. But why do I have to blatantly state my age on my CV? This is just an easy way for employers to throw out resumes of people that are “too old” or “too young” instead of looking into their experiences, etc. and judging them by their qualifications. Of course there are situations where a young, start-up company is looking for a “younger vibe” and so are looking for an employee who will fit in with their organizational culture. That’s fine – but wait for the interview stage, and let both parties make their assessments in person, instead of judging someone purely based on their age. Gender – in our day and age when we are trying so hard to breakthrough gender barriers, the Europeans insert this requirement in their CV. Again, why on earth does this matter? If an employer is looking for a person (in their view a man) who can lift heavy machinery, then make that a requirement and see who can do it. There are plenty of woman bodybuilders out there. Marital Status – there really is no reason why your marital status should have any affect on whether you can perform a job or not. Perhaps they want to ascertain whether you are going to be in a “Family-zone” soon, but then again, that is discriminatory in its own right. Children – are you serious? In a country with a declining birth rate, it surprises me that this detail is required on a CV. The government should be incentivizing educated women to have children, not demotivating them. Requiring a detail like this on a CV essentially creates a judgment in the employer’s mind that a woman applicant with children will not be as dedicated to the job. There will be doctor’s appointments, school meetings, sick days, etc. But the bigger question, as always, is what does this have to do with the applicant’s ability to do the job? If the work requires 80 hour weeks and regular weekend work, then it is the applicant’s decision whether they want to be considered for a position with such a heavy workload. Whether they have kids or not should play no role. They might have amazing babysitters in place or a stay-at-home Dad or whatever. The point is, it’s not the employer’s decision and requiring a personal detail such as this one on a CV makes it a discriminatory criteria ready for the employer’s picking. Place of Birth – this is another detail where I wonder, what information is the employer trying to glean? If a prospective employer wants to know whether you can speak foreign languages, they can find out in the “Languages” section of your CV. If they want to know whether you understand a culture of a certain country, they can ask you in the interview. Being born in one country but then being raised in another can be very misleading. For example, I was born in Afghanistan but raised in Canada. Great – what can you tell about me from that? Can you tell whether I understand Afghan culture or not? Whether I speak Farsi? Absolutely not. Let’s take an example of what could potentially happen a few of these criteria are provided to a potential employer. You have a female applicant (required to indicate female as per the Gender requirement) who then also indicates as per the Age criteria that she is 32, as per the Marital Status criteria that she is married, and as per the Birthplace criteria that she is born in Turkey. Just like you are doing in your head right now, a potential employer is also making judgments about her based on these tiny bits of information without reviewing her qualifications or interviewing her to get to know her. The employer might think – she comes from a traditional background and might not fit in with the culture of the company, she is married and 32 which means she is probably ready to have a baby soon and we need someone who will commit for a few years, etc. The thing is, without a review of her qualifications or an interview to meet this woman and get to now her, the employer has already crossed her off their list. All in all, I’m quite disappointed with this aspect of German society. I’m not sure why everyone accepts handing out these personal details to prospective employers. It’s clearly discriminatory and should not be acceptable behaviour in any country. There was a pilot project in Germany a couple years ago where a bunch of large companies participated and allowed more anonymized CVs. And you’re absolutely right, their research did indicate that people are discriminated against almost immediately based on the personal info on their CVs. Unfortunately the practice of “anonymized” CVs hasn’t caught on nationally yet.